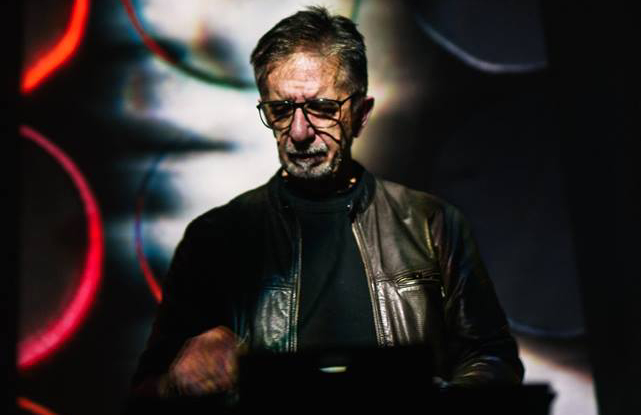 Dimitris Kamarotos has been researching electronic and organic music since 1980 with many compositions, concerts and CD editions, mainly from his compositions for theatrical performances / plays. 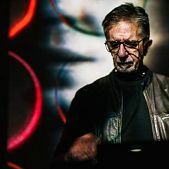 His compositions with pure electroacoustic features are presented today, in a few concerts, which occasionally gives the main interest in music and sound design as a dramatic medium of the theater. His grandparents and his parents gave him, says Mr. Kamarotos, readings about the future and the Space, and they all opened a world to me. “I did not dream to become an astronaut, but from a very young age I had a very active relationship with fiction. I was always a musician, as long as I can remember myself. From primary school I had a relationship with music, formal, conservatory, etc., but also personal. I loved listening to music, playing with bands, dealing with it as much as I could”, he adds. Dimitris Kamarotos initially studied in Greece, Business Administration and Music. He then began studying abroad. “My family had a shock. I went to France, in Paris, determined to do music in all its styles and at the same time I was very interested in computers”, he remembers. There, he studied music composition and clarinet, musicology and continues with IRCAM masters, in the use of artificial intelligence for the automated selection and processing of audio formats. “Back then the computers were something we could only dream about, it was not what we have today, these machines. It was all science and the way I approached them was through cyber science, the computer’s base, and through data analysis.There wasn’t yet music through technology, new technologies, and “music and computers” concept, was just being born. Of course, I did a lot of formal music studies, music, musicology, composition, organ, and there I met some people who definitely changed the way I see things”, says Mr. Kamarotos. He was a student of Daniel Charles, Emile Damais and Iannis Xenakis in the music analysis and composition of Horacio Vaggionne and Marc Battier in computer music and Maurice Jarre in motion picture music. 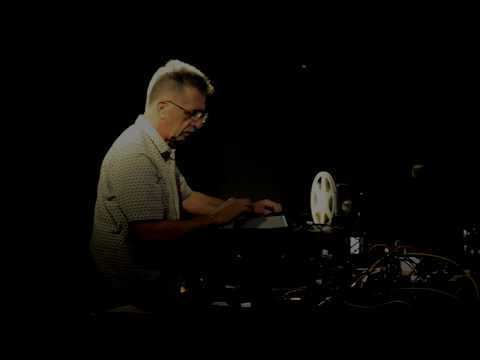 As a guest composer at IRCAM, he worked in 1984 with the 4X computer system and research into the development of new techniques for controlling the sound of traditional instruments. “At an advanced age in relation to my music studies, that is, at 25 to 30 years old, in Paris, I first realized the importance of the teacher. And with this intuition I was trying to have a personal teacher in music. There is another level, taking things in the absence of the teacher, to influence you. Xenakis, let’s say, as a teacher I knew him from the University. I met him at CYME and we talked. He was never my personal teacher, but he was a teacher through what he did, he was driving me with them. Like John Cage, and others. And at IRCAM I was an important teacher, because I was lucky to be there when IRCAM was born, but all computer music”, Mr. Kamarotos recalls. 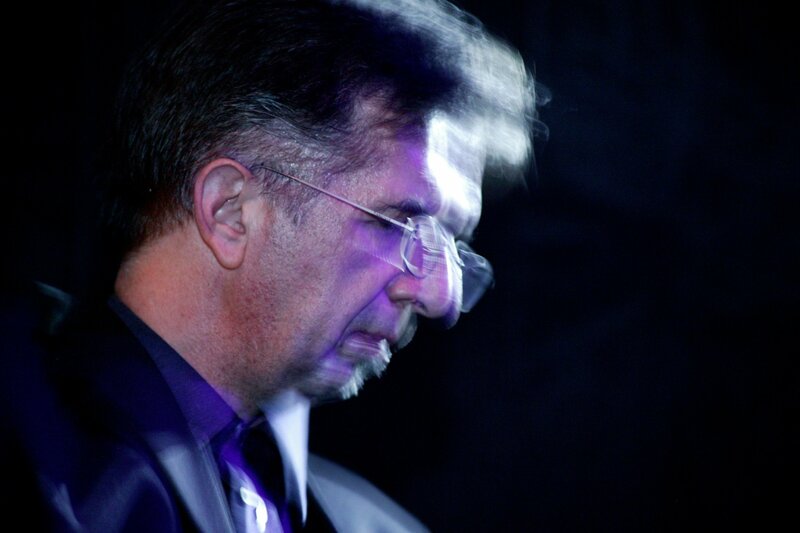 In 1985 he participated in the foundation of the Center for Contemporary Music Research – KSYME with S. Vassiliadis and I. Xenakis, where he worked as director of research programs until 1994 and organized the programs of Upak Xenakis’ He founded and directed modern music ensembles (Athenaeum music ensemble, 1988-92, “Towards” the Center of Contemporary Music, Research 1985-91, Intermediate Space “1990-93,” FF & 2 “1998, Electric Breath 2002, Stationary Machinery 2005). 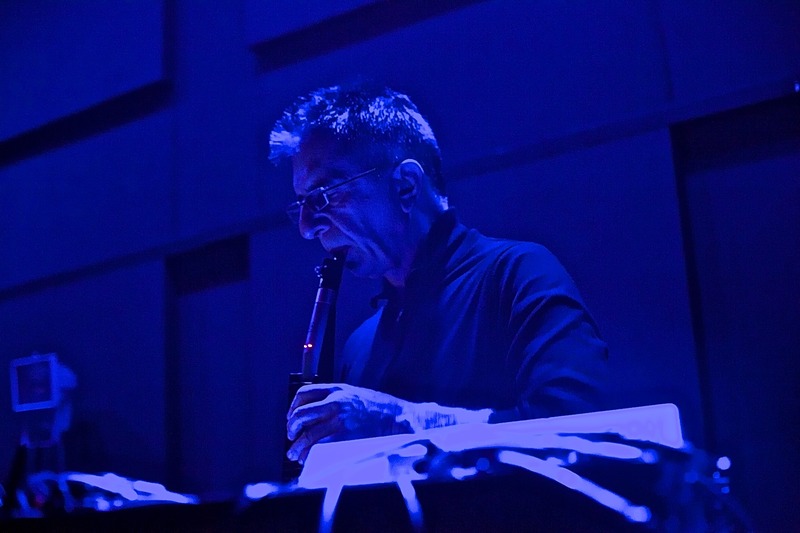 He participated in the design and as a professor of synthesis and electroacoustic techniques in the Electroacoustics class of the Athenaeum Conservatory. He collaborated with Brad Garton (Columbia University), Perry Cook (Princeton University) and Th. 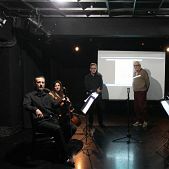 Rikakis in the foundation and operation of the Music and Audiovisual Research Laboratory of the CSSME with the NeXT system. He participated in the foundation of the Aristotle Institute of Psychoacoustics. University and the CSSME. 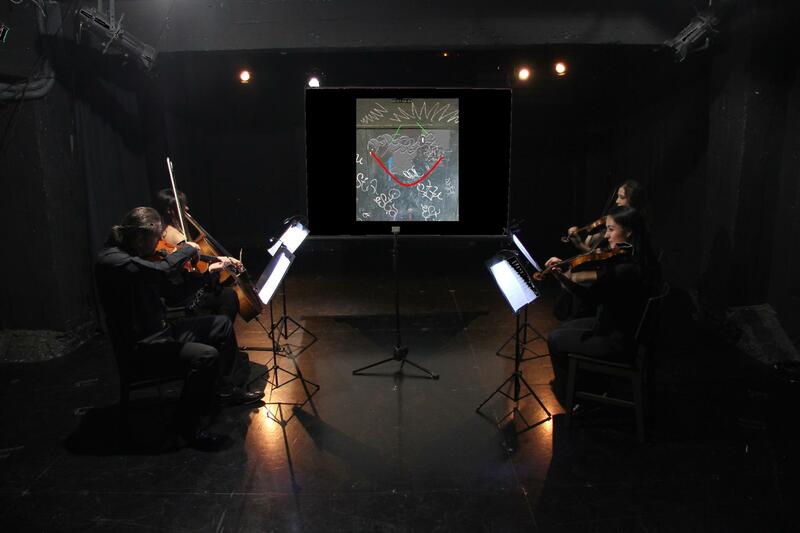 His collaboration with technology researchers from Greek and American Universities in the field of automated recognition of musical forms has been published in international scientific publications. He was responsible for writing the curriculum of the first TEI of Music Technology – Rethymno, he was involved in the foundation of the first Musical High School. He also participated as a founding member of the Board of ESSIM (Hellenic Association of Composers of Electroacoustic Music). As a researcher, since 1989 he has proposed the automated recognition of musical forms in a 3-year research program with the participation of the National Center for the Development of Physical Culture and the NTUA. In this program, I. Xenakis also participated as a consultant. This program carried out thousands of sound recordings in Greece and provided bases for the then-growing sound ecology with a tool for the diachronic comparison of sound patterns. At the same time, this program set the foundations for the development of tools for automated comparison of sound materials. This research was then continued in collaboration with S. Theodoridis (University of Athens, Department of Informatics) and A. Pikraki. This research and especially the applications of recognition of musical forms of Greek traditional instruments has been published in many cases. 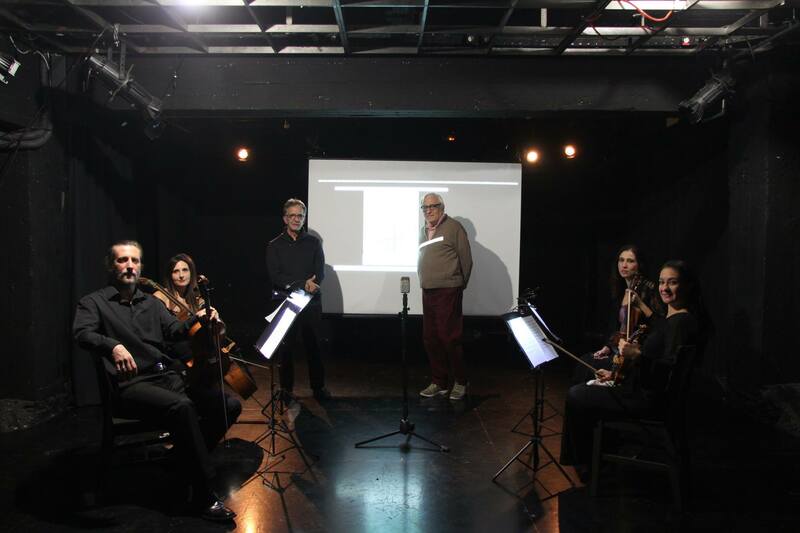 “By coincidence I met Michael Marmarinos and Amalia Moutousi through a research project I did at the Aristotle University, Michael, a brother of one of the researchers, wanted to help him write a letter to Xenakis asking him to compose the music in” Medea “He was raising. Xenakis never answered and we worked together. They would follow 27 years of collaboration with Marmarinos, years of experimentation and research, with emphasis on the Dance. 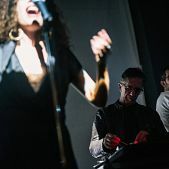 But also with a number of directors, Lefteris Vogiatzis, Vassilis Papavassiliou, Nikita Milivoyevich, Roula Pateraki, Victor Arditis, Dimitris Karantzas, Angela Brouskou and others. 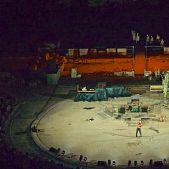 Original musical dramaturgy and sound design in more than 120 performances in Greece and abroad, 14 participations in Epidaurus, each project and a new step in music. I’ve been doing a lot more in relation to sound, electronics, cinema. It had never gone through my mind like that. But it seemed to me a very interesting direction”, recalls Mr. Kamarotos. “I prefer to make a music that does not belong to any kind, but it tries to achieve something in relation to people. 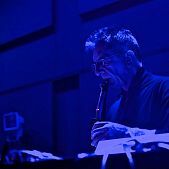 This creates an open field of style that, as much as we take it for granted, it is not: if you say that doing a jazz concert, as much as you experiment, the code must be comparable to what you as a listener consider jazz. Even pop music has very strong specifications, changing continuously based on the market, but they do not cease to exist. In the theater, the fact that music is not determined by style, but only by functionality, is excellent for me. 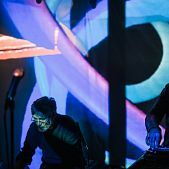 By changing environment, dramaturgy, text, collaborators, I can redefine my music, from orchestral to electronics, to noise, to what one can imagine”, he says. Mr. Kamarotos believes that “The economic crisis awakened a generation. On the one hand, the groups have disappeared formally, as there are no funding, on the other hand there is a great deal of fervor for work, by their own means. A counter-tendency is that things are becoming more conservative, in the big productions the experienced ones are chosen. 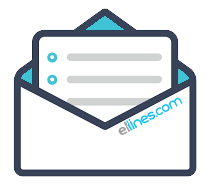 In Greece, there is no escape, an opportunity for something else to happen, is the passion that Xenakis said, that we are with a certainty in things, and that stops them; we do not take a distance to have a second thought”. When he returned to Greece he said he had the hope that things would go better. Losing that hope was released. “I do not think I will see better things in Greece. Only with the change of education will there be progress, when we are convinced that improvement will not come from outside, we do not owe it to Europe, the Prime Minister, that we are its agents”, concludes Mr. Kamarotos. He has participated in multimedia productions: Portraits of Byzantium of the Institute. Studies Lambrakis, pedagogical applications of “Kaleidoscope”, Acoustic Map of Greece of GSRT, Islamic Collection of the Benaki Museum. As a composer he is working on exploring musical theater function. 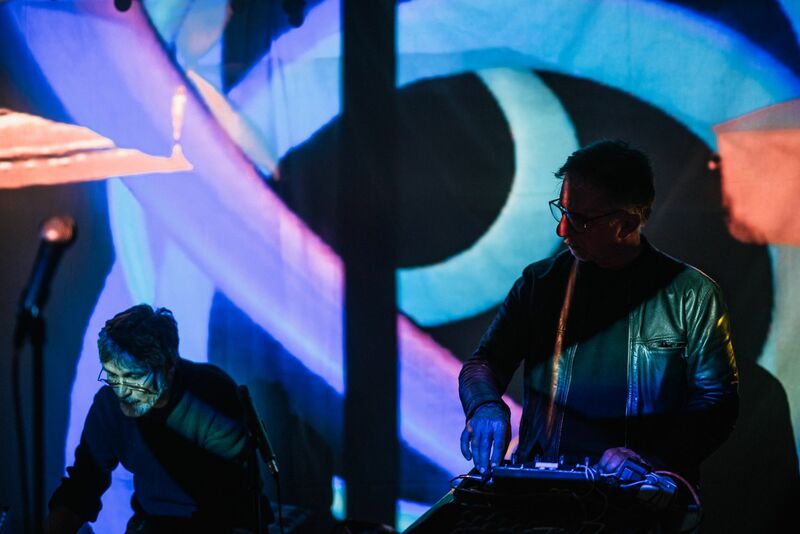 Since 1992 he has collaborated with Michael Marmarinos and the theater company “Double Eros” and then with “Theseum Ensemble”, where he remains as a permanent music researcher. To date, Mr. Kamarotos has written the music for more than 120 performances. 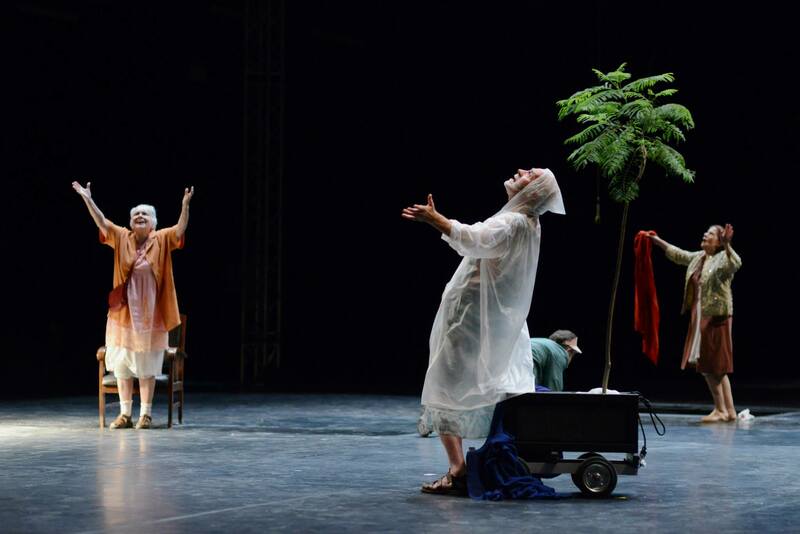 Some of them directed by Michael Marmarinos: “Medea”, “Romantism”, “Electra” in Epidaurus, “National Anthem”, “Hamlet Machine”, “Agamemnon” at Seoul Arts Center, “I Die Like Country”, “Acropolis”, at Epidavros,” Inzhenso” at the Athens Festival,” Summer Night Dream “at the NationalTheater, “Don Juan”, “Electra” at the Shanghai Dramatic Arts Center. Directed by V. Papavassiliou, “Aia”, “Oedipus Tyrannos”, “Koutroulis the wedding” and “Cyclops”. 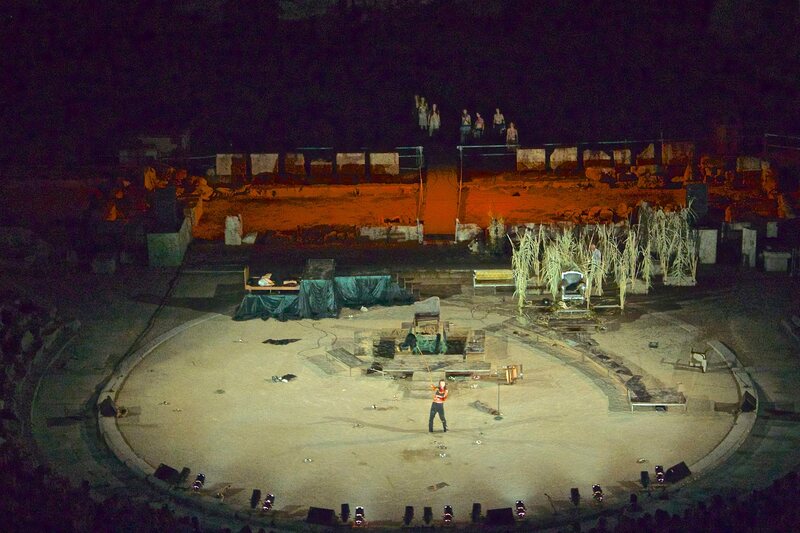 Directed by Roula Pateraki, “Oedipus on Kolono” and “Oedipus Tyrannos”. Directed by Nikita Milivoyevich, “Ivan’s”, “Don Zuan”, “Crime and Punishment”, “The Fugue”, “Three sisters”, “My homeland in seven dreams”, “The mother of the dog” with Lefteris Vogiatzis, “Lacharto”, “Bella Venezia”, “Tokyo”, “Amphitryon”, “Greenhouse”. Directed by Dimitris Karantzas, “Circle of the Square”, “The Waves”, “Twelfth Night”, “When We Are The Wreck,” and “The Vampires” of Ipsen. 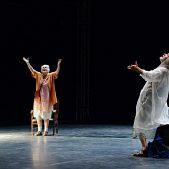 In musical dramaturgy – directing the play “Hippolytos” with Amalia Moutousis and in his musical dramaturgy and directing – interpretation by Stefania Gouliotis, the work “Eumenides”. 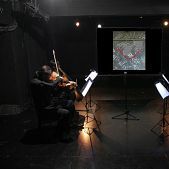 Also, many plays from theatrical performances, as well as orchestral and electroacoustic music, have been published on CD. 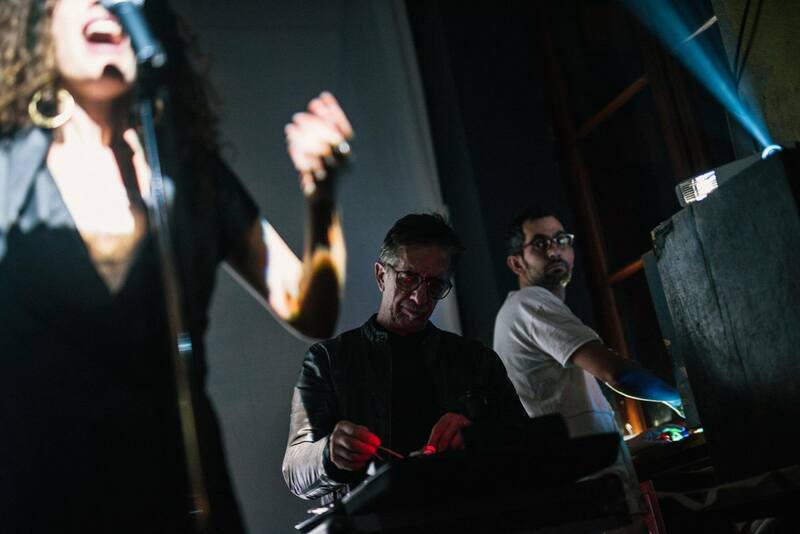 Musical compositions by Dimitris Kamarotos for theater, film and interactive music control have been distinguished with international awards such as Ars Electronica, Bourges and more.